Welcome to The Pie Box! We are happy to make your special request if you don’t see what you’re looking for on our menu. FREE Delivery in Springfield Area with a $30 minimum purchase. Tastes like a Butterfinger candy bar with a cream filling in a chocolate cookie crust. Fresh sliced bananas gently tossed in our Crème de Banana blend, served in our signature flaky crust. Island fresh coconut lightly toasted then blended with our perfect Pie Box cream, served in our signature flaky crust. Tart and creamy key lime filling served in our graham cracker almond crust. Tangy lemon cream with a touch of white chocolate served in our signature flaky crust. Tangy lemon cream with a touch of white chocolate covered with tart blueberry pie filling served in our signature flaky crust. Creamy peanut butter swirled with milk chocolate served in our signature flaky crust. Peanut butter lovers beware. Layers of peanut butter taste sensation served in our signature flaky crust. Creamy peanut butter swirled with milk chocolate and dark roast coffee served in our chocolate cookie crust. Dark, thick, rich chocolate cream piled high and served in our signature flaky crust. You’ve had French Silk but have ever tasted it like this? Thick silky chocolate, as rich as you can handle, served in our signature flaky crust. Our thick silky chocolate, as rich as you can handle, blended with peppermint served in our chocolate cookie crust. Creamy fresh churned buttermilk with just a hint of nutmeg and vanilla served in our signature flaky crust. Toasted rich brown sugar scotch cream pilled high and served in our signature flaky crust. Smooth cream cheese filling topped with our favorite fruits and served in our pecan shortbread crust. Thick creamy peanut butter filling in a chocolate cookie crust topped with dark chocolate ganache. The perfect blend of cream cheese, white chocolate, and macadamia nuts, with a touch of orange peel, topped with our signature dark chocolate ganache, served in our signature flaky crust. Whipped sweet cream cheese filling layered with cherries in our thick syrup, topped with dark chocolate ganache and whipped cream, served in our signature flaky crust. Icy cold dark chocolate with a touch of crème de menthe, perfect for a hot summer day. Frozen berry perfection. Crushed raspberries swirled with light fluffy cream and served over our almond pastry crust. A must try. Tart cherry perfection served in our signature flaky crust. Crushed tangy island pineapple baked between our signature flaky crusts. Fresh from the garden whole sun kissed berries in our sweet strawberry filling piled high with fresh cut rhubarb, served in our signature flaky crust. Dark raisins cooked until their ready to pop and blended in our sweet brown sugar glaze, served in our signature flaky crust. Double crust or topped with meringue. Sliced orchard apples and cinnamon swirled with rich caramel served in our signature flaky crust. Sliced peaches, cinnamon and sugar served in our signature flaky crust. Ripe blueberries cooked with sugar until about to burst and then backed golden in our signature flaky crust. Dark blueberry filling layered with our cream cheese filling topped with whipped cream, perfect for a midnight snack. Served in our signature flaky crust. Fresh from the garden whole sun kissed berries in our sweet strawberry filling, served in our signature flaky crust. Sliced peaches cooked to perfection blended with sweet glaze served in our signature flaky crust. Sliced peaches cooked to perfection blended with raspberries and cream served open faced in our signature flaky crust topped with our baked butter crumb. Dark raisins cooked until their ready to pop and blended in our sweet sour cream filling, served in our signature flaky crust. Topped with whipped cream. What more can you say. This classic speaks for itself. Dark rich chocolate fudge brownie with pecans baked into a pie. Thick rich dark chocolate and peanut butter baked to perfection, topped with vanilla cream and fudge and served in our pecan shortbread crust. This southern favorite is so unique and so so good! Rich butter crackers crushed with pecans and meringue baked to perfection and topped with fresh whipped cream and dark chocolate curls. Fresh baked pumpkin pie with sweet creamy caramel baked right in, served in our signature flaky crust. Fresh baked pumpkin pie with sweet creamy caramel baked right in, served in our signature flaky crust and topped with our pecan butter crumb baked golden brown. You just can’t beat Mama T’s southern pecan pie with a hint of cinnamon served in our signature flaky crust. Toasted rolled oats and dark corn syrup make up this old family recipe treat, served in our signature flaky crust. Grab the Forks. We’re Bringin’ Pie! Every pie is made fresh when you order and delivered to your door. Strawberry cake layered with fresh berries and cream cheese frosting. Decadent chocolate cake layered with our whipped fudge icing. Traditional “Devil’s Food” red velvet cake with our cream cheese frosting. Old fashioned buttermilk white cake with white buttercream frosting. Super moist garden fresh carrot cake with cream cheese frosting. Tart lemon cake with a touch of white chocolate. Luscious lemon cake with blueberry filling. Toasted coconut and pecans in white creme cake with cream cheese frosting. Light chocolate cake layered with caramel coconut frosting with toasted pecans. Extra dark chocolate cake with a touch of java and our whipped fudge icing. Creamy original cheesecake with a touch of white chocolate on our signature shortbread crust. Creamy chocolate cheesecake on our signature chocolate cookie crust. Tangy key lime cheesecake baked golden in our graham cracker crust. Pumpkin cream cheese with a touch of spice swirled with original on our shortbread crust. You can call us at (417) 886-4743 or click on the button below to make an order. You can call us at (417) 886-4743 to make an order. Or fill out the form below, and we’ll get on it! Chef Ryan Tiller envisioned a world without barriers, without bakery glass, without endless drives to store after store just to find a dessert that satisfies. He set out to end the grueling process of finding quality, delicious desserts. 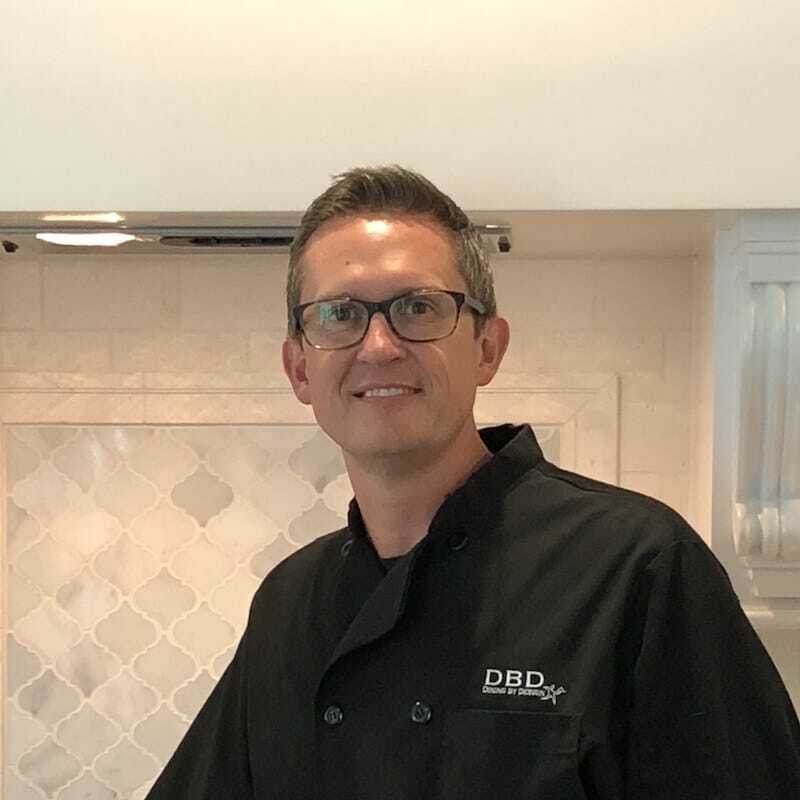 With his experience cooking for thousands of catering clients at Dining By Design Gourmet, he started The Pie Box. And thus began a new era of sweet satisfaction, delivered right to your door.